An honor guard made up of fire fighters from across the county delivers a final salute following the funeral service for Don Kuhr. Tuesday was the last fire call for Donald L. Kuhr who was a member of the Blair Volunteer Fire and Rescue Department for 55 years. He served as chief for 15 of those years and was a charter member of the Blair rescue squad. 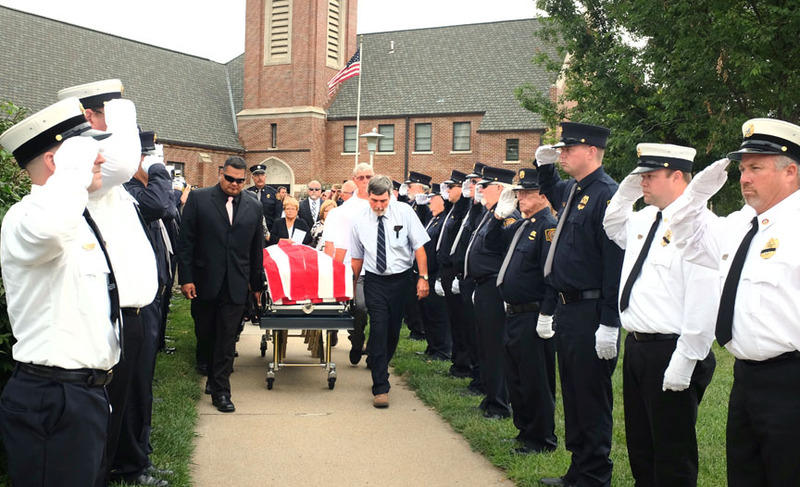 Following the funeral service at First Lutheran Church in Blair, an honor guard of fire fighters from throughout the county gave Don a final salute. Kuhr. Burial was at Rose Hill Cemetery, Orum. 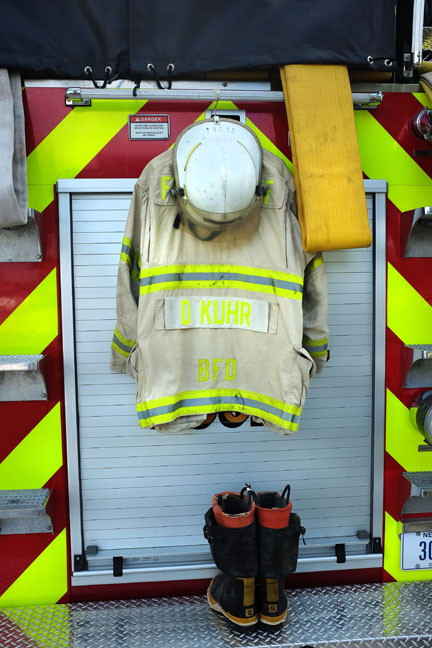 Don Kuhr’s helmet, coat and boots hang at the ready on the back of a Blair fire unit. 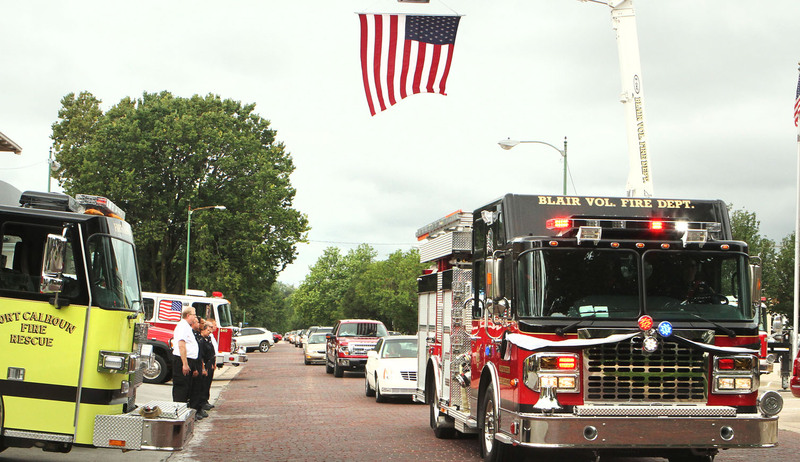 Donald L. Kuhr funeral procession passes under an American flag in front of the Blair south fire station.